Commercial buildings should be secured using top security door locks and security enhancement technology. To do this, it is advisable that you seek the best advice from a highly trained Locksmith in Burbank. 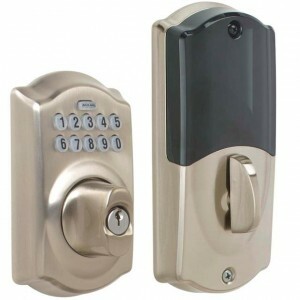 At Locksmith Burbank, we offer you the best security services at affordable prices. Here are some of the services you can count on us on when it comes to large or small scale commercial door security. We understand how frustrating it can be that Monday morning when you and the rest of the staff can’t access your office due to the jammed door. Or probably it’s the file cabinets that need to be unlocked. At this point you need expert help to ensure you gain entry soonest possible and that the locks are not damaged. Therefore, count on our locksmiths to help you whenever you need to be rescued from a lockout. Our commercial locksmiths offer vault and safe repair services to our esteemed clients. The services that we offer are designed to ensure that our client’s privacy is taken care of and that only trusted technicians are sent to your premises. For this reason, we are one of the most trusted locksmiths in Burbank offering the service to businesses around the city. To ensure the top security in your office, you might want to deploy a keyless access system. Digital locks are also a modern technology that many commercial property developers are adopting. This technology helps to ensure that only those with authorized access codes can gain entry to protected areas. We have the best knowledge and team to deploy this service in Burbank. An alarm system is also necessary for making sure an alert is sent in case someone breaks and enters into your commercial office. This is something that you should not take for granted at any point and therefore expert advice is necessary when installing the system. We handle all types of alarm systems. Contact us today for a free quote. To help you in case of a jammed lock or misplaced key, we have the latest types of master keys and lock picking guns. Therefore, contact our experts to help you whenever you need us to help you access a locked safe, commercial door or misplaced keys. If you have moved to a new office block, you might want to upgrade the locks that were installed previously. Or you just want to upgrade the locks on your commercial door. Whenever you require this service, contact us for the latest top security locks. Your commercial building should have high-level security. This is why you need a locksmith who understands the latest technology like we do. Therefore, whenever you are looking for a locksmith in Burbank, contact us for expert help. Therefore, no job is too complex for our professional Burbank technicians. We are able to handle everything from making brand new keys and switching out locks to gaining access to locked file cabinets and installing brand new access control locks for extra security.